How will the Syrian Stalemate Affect Global Energy Markets? As the Syrian civil war continues to rage, Washington’s vision of a tidy surgical strike with cruise missile and drones has suffered several setbacks, blindsiding the pro-war interventionist chicken-hawks in the capital. First, on 29 August, Britain’s Parliament handed conservative British Prime Minister a crushing electoral defeat, narrowly voting against a government motion to join a potential military strike on Syria, with Parliament defying Cameron by 285 to 272 votes. No biggie, you say? Consider that ten years ago former British Labor Prime Minister Tony Blair enthusiastically ramrodded a bill through Parliament authorizing the use of military force against Iraq, on the basis that it maintained “weapons of mass destruction,” a charge that the subsequent invasion proved demonstrably false. For his slavish devotion to President George W. Bush’s agenda Blair earned the sobriquet “Bush’s poodle,” a term that he will never live down. Cameron’s sandbagging was the first time that a British Prime Minister had lost a vote on war since 1782, when Parliament effectively recognized American independence by voting against further fighting. The vote is also likely to damage Cameron's hopes of being reelected next year. Now, a decade later, Parliament is proving more suspicious of charges of WMD, in this case, chemical weapons, being bandied about to justify intervention. 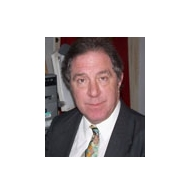 Dale Gavlak is a Middle East correspondent for Mint Press News and has reported from Amman, Jordan, writing for the Associated Press, NPR and BBC. Gavlak, a Middle Eastern affairs expert, has a M.A. in Middle Eastern Studies from the University of Chicago, America’s leading research center on the Middle East. Interestingly, Associated Press does not currently list “Dale Gavlak” on its website. While Syria is not a major energy exporter, destabilization there will not be limited within its borders. 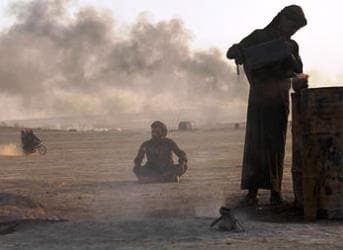 Due to the combination of ongoing fighting between government and opposition forces and severe Western sanctions, Syrian oil production is down by over 50 percent since March 2011. According to statements made by Syria's Minister of Petroleum and Mineral Resources, as of October 2012 the direct and indirect costs of the civil war to the Syrian oil industry was approximately $2.9 billion. The U.S. government’s Energy Information Administration reports that as of January 2013 Syria's proven oil reserves stood at 2.5 billion barrels, a total larger than all of Syria's neighbors except for Iraq, a rich prize to whomever finally winds the civil war. Assad’s government is not noted for being friendly to Western energy interests. Under his father, Hafez al-Assad, in 1964 Syria passed legislation that limited licenses for exploration and investment to the Syrian government, a situation that continues to this day. While no one can watch events in Syria without cringing, where the civil conflict which ignited in March 2011 has caused more 100,000 deaths and produced more than 2 million refugees, the answer should not be a replay of March 2003, where a Western-led coalition invaded Iraq on the bogus pretext of non-existent weapons of mass destruction. It is time for the United Nations, rather than Washington and London, to take the lead on events in Syria. No one in either Britain or the United States has made a credible case for strategic Western interests being at risk there, and Parliament evidently remembers the old adage “once bitten, twice shy” from a decade ago, unlike congressional interventionist like Arizona’s Senator John McCain. Unless the Obama administration can make a valid case to the war-weary American people on better evidence than that proffered thus far, there would seem little to be gained by the American people for intervening, unless of course, you’re looking that those 2.5 billion barrels of oil reserves.